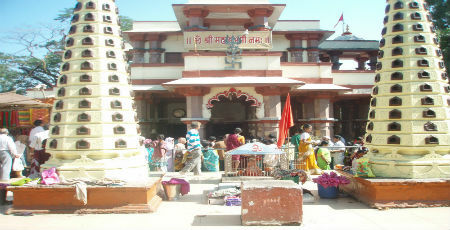 Maa Jivdani temple is located on the Jivdani hill in Virar. 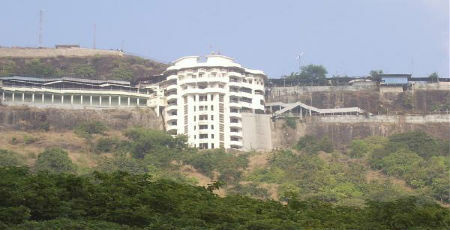 it is the most significant landmark in Virar located on the mountain. it is famous throughout the country for its only temple of Goddess Jivdani which is located around 1375 steps above the ground level, atop a hill in the eastern part of the city. The 150-year-old Jivdani Temple at Virar, attracts thousands of devotees on Sundays and during festivals.The Papadkhandi dam situated at the foothills, was one of the major sources of fresh water in the location. Mahalakshmi is the `kuldaivata`(patron God of a Hindu household) of tribals, so during the festivity period, the tribals arrange `taarpa` dance for their revelry. Every year a festival is held called Mahalakshmi Yatra for 15 days starting from Hanuman Jayanti. 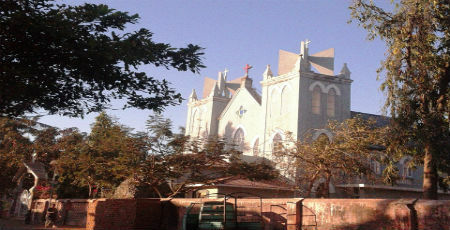 The St. James church located at Agashi on the road connecting Virar and Arnala, was first built in 1558. Portuguese were the best known seafarers among the European clans who built homes near the sea wherever they went. ‘Agasi’, the then small port village was one such place. Owing to its nearness to the sea and availability of wood from the jungles, which the Portuguese needed for boat building and constructions, Agashi soon became a permanent settlement for the Portuguese. 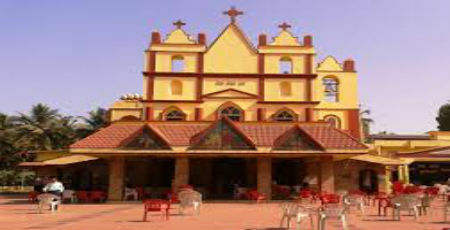 The St. James Church that came into being during this early period was built using stones and bricks hence it withheld during the Muslim attacks of 1594. But during the raids of Marathas of 1739 it was mostly destroyed. The Marathas however permitted the priests to carry on religious ceremonies in the region and the church was rebuilt by 1760. In the year 1900 the church was renovated. A small piece of land was made available and a 30 feet * 20 feet temporary shed was erected to offer 5 times daily Namaz and to preach the lessons of Islam. Later,the surrounding land was purchased and in the year 1982,a foundation stone was laid for a grand Monumental building of Gausia Masjid by holy hands of descendants of the Great Muslim Saint,Hazrat Abdul Qadir jilani(R.A)(Gaure Park)of Baghdad Sharif. 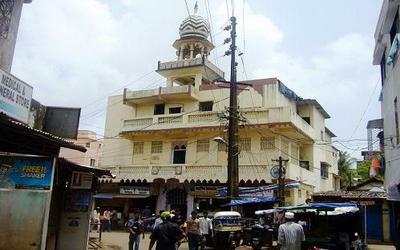 A two storied Mosque now stands in the heart of Koliwada Vasai. Koliwada Mosque has completed about 25 glorious years. The authorities of the Mosque do many religious services for the upliftment of the Sunni Muslims. An Arabic School is also housed in Grausia Masjid.The school impacts religious education to about 50 students with all lodging and boarding facilities,free of cost.